What I'm most amazed about this winter (aside from the lack of snow accumulation and freezing temperatures) is that I can't remember a single Sunday that hasn't been SUNNY!! Isn't that AMAZING?!? Once again, today the skies are blue, the sun (and SON) is shining, and the forecast is for a warmer day than yesterday!! As my friend, Tammy over at Beyond Measure would say -- It's UBER-AMAZING (and if you haven't visited her post for this week, I hope you will -- tell her I sent ya -- she's such a FUN friend to have, and you'll leave there feeling better for stopping by!! 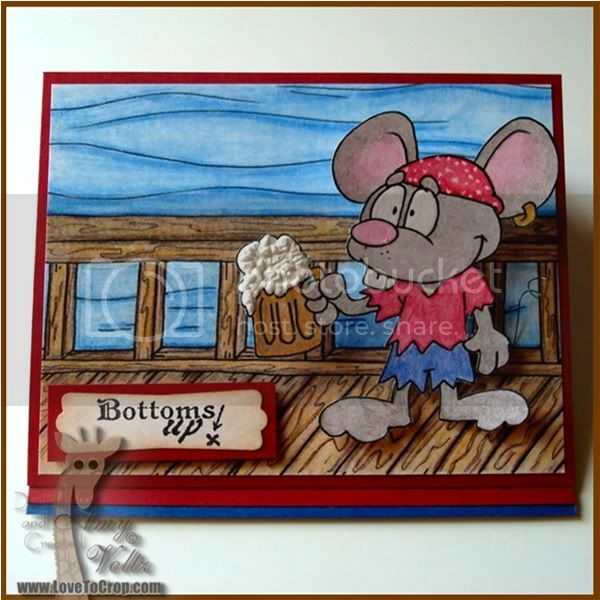 Captain Jack Sparrow fan says you would not walk the plank with this cute whimsy Pirate card. If it was me with the mug it would be Root Beer. My father when we were young would allow us to have beer and so I do not like it much any more; guess he knew what he was doing. But then there is always Southern Comfort on the rocks or a Frozen drink which are favs of mine. I second Lisa, i love reading your posts you always have me laughting!! Are you suppose to be on the computer??? hope you are feeling better!! 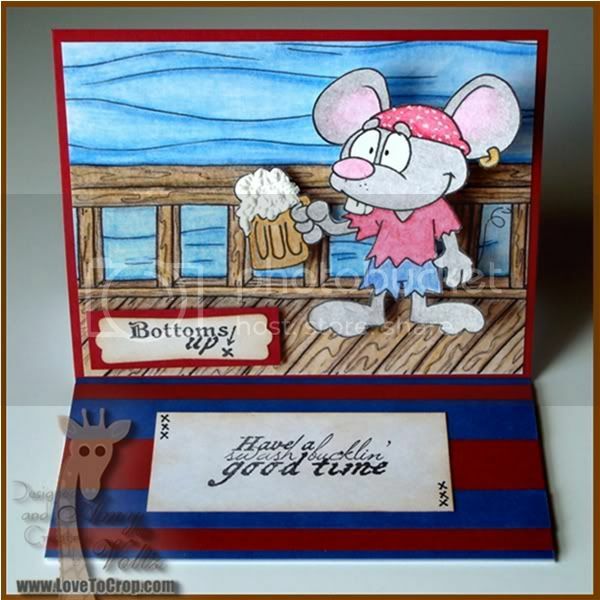 I love the card very cute and love how it is Root beer!! 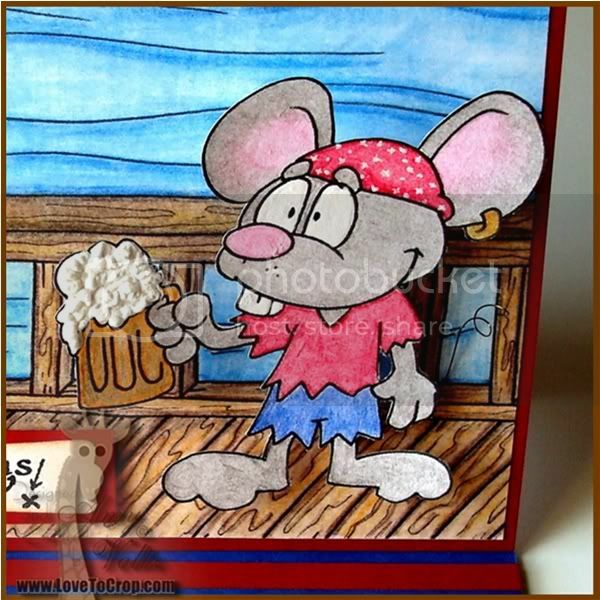 What a cute card...love all the pirate 'speak!' Thanks for sharing. A fantastic card. I love the PiRAT. 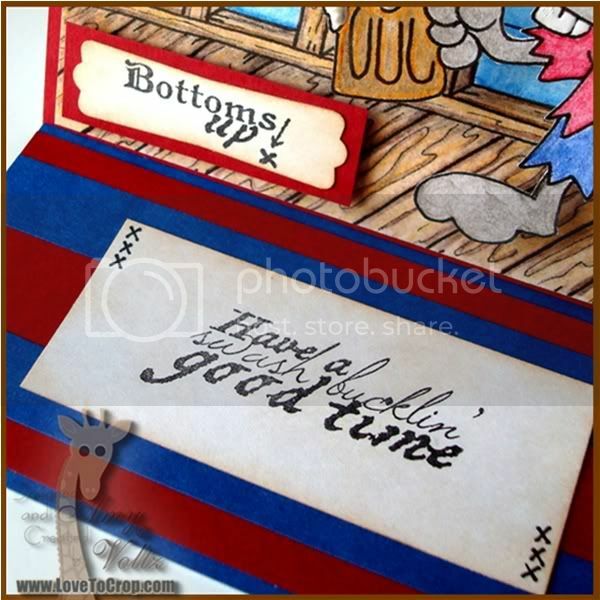 thanks for sharing your great card. Anita Getting Cricky Jr.Dt. sister. Ok Amy, You have done it again. What a smie you put on my face with this cute little PiRat!! And the foamcoming from the mug is fabulous. 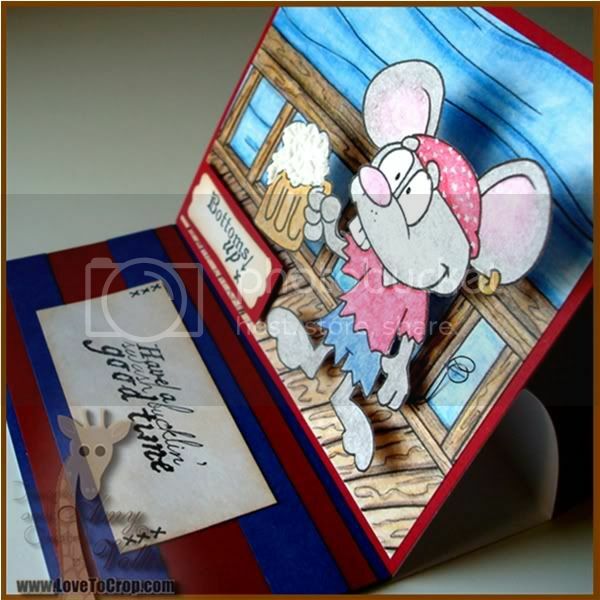 I lov etht ou made the card an easel card. It really shows off the background and the great stamps as well as the use of the Wiggle Wire. LOVE IT!! Oh Amy, He is too cute!! You have done a wonderful job on this love the colouring (I'm going to pack some to do on the go too, thanks for the tip :) ) SENSATIONAL!! Wow Amy! I just love your card. 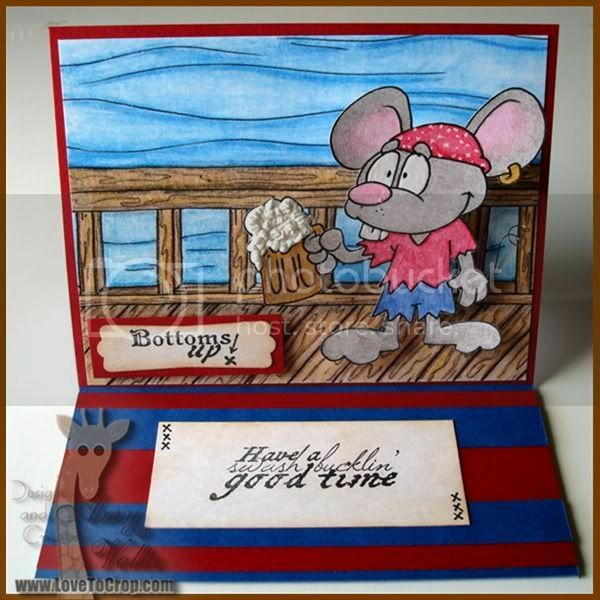 The mouse is so cute and the details that you put in to this card. I would have to hold on to that one and display it in the craft room. Where did you get the white liquid applique? TFS. Oh Amy, this is soooo cute!! I love the frosty mug and the great coloring! looks awesome and great sentiment! This is so cute! Your coloring is perfect, and I love the froth on his jug! You did a wonderful job matching the image and the sentiments too. I know you might hate this but please come by my blog, I have an award for you, and yes I had to! This mouse makes me crack up. He is to darn cute. Love the card.